Description: A modern sophisticated pendant featuring an extraordinary element of ambient light, this spectral halo creates a stunning visual effect and breathtaking drama. Supported by sturdy spacecraft cables for balance and precision, this Bronze Metallic powder coat finished ring reveals a Statuario Idalight diffuser. Integral LEDs deliver dimmable, robust illumination, energy savings, minimal maintenance and long life. Custom sizes, styles, and finishes are available, as well as dimmable lamping options. 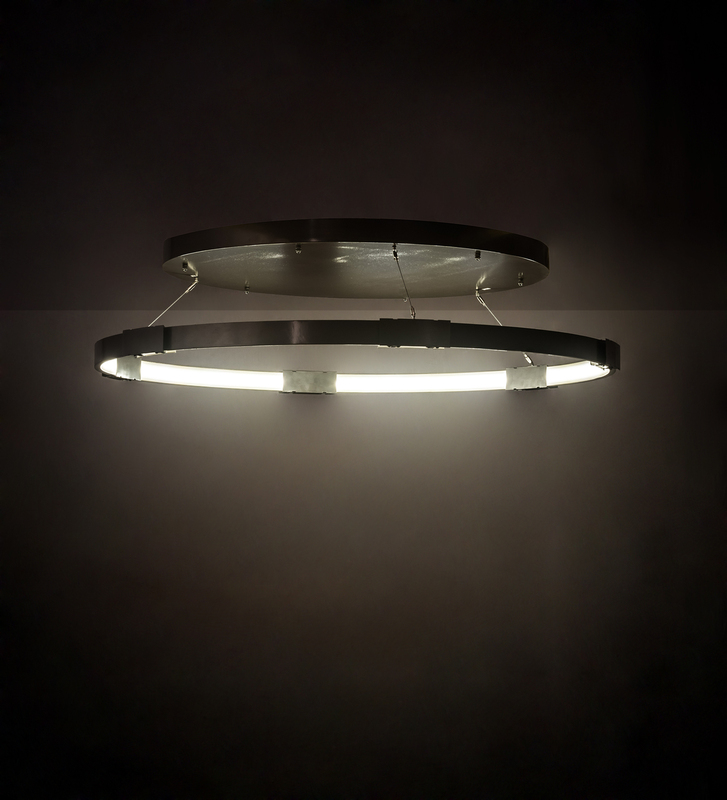 This Anillo pendant is UL and cUL listed for damp and dry locations.